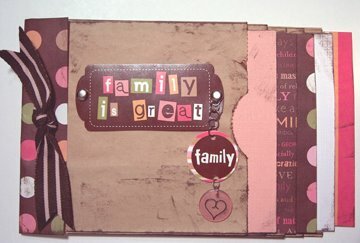 Jenny K. at Inspiring swaps challenged us to create a paperbag album. I made this one tonight. I used the DCWV 8x8 stack from Joann's.